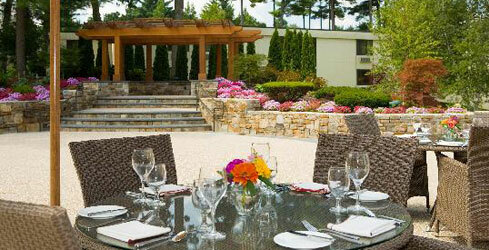 Fine dining -- for a full vacation, romantic getaway, or weekend getaway -- is varied and easy to find in Massachusetts. 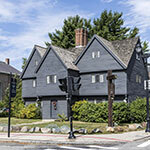 Options can range from classic New England and American and Continental foods in white-tablecloth traditional inns to seafood, French, or ethnic cuisines, among many others. 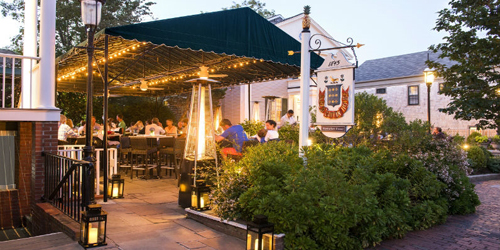 A longtime favorite of foodies worldwide, and named by Zagat’s as the best restaurant on Nantucket, Topper’s at The Wauwinet seaside inn showcases exemplary service, imaginative cuisine and a carefully curated list of 1,450 wines repeatedly honored with the Wine Spectator Grand Award. 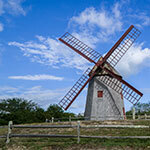 The restaurant’s a la carte and prix fixe menus feature seasonally inspired locally sourced cuisine. Recent offerings include Seaweed Butter Poached Lobster and Gin-Cured Ocean Trout, but you really should try the Retsyo oysters, cultivated 300 yards away. Room for dessert? Consider the rhubarb flan. Then take a stroll upstairs to the deck to sip a cocktail and watch the sun set over Nantucket Bay. If you wake up in the morning and want more, there’s always brunch! 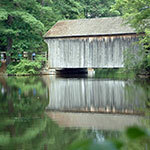 Old Sturbridge Village will keep you well fed and smiling during your visit with everything from delicious baked goods and fudge to full course meals. A special dining experience awaits at the Oliver Wight Tavern, a modern adaptation of an 1830s rural New England tavern that seats more than 300 in four distinct dining rooms featuring working fireplaces and delicious food served with historic New England hospitality. Selections include New England cheeses and chowders, salads and sandwiches, hot entrees with an assortment of side dishes. 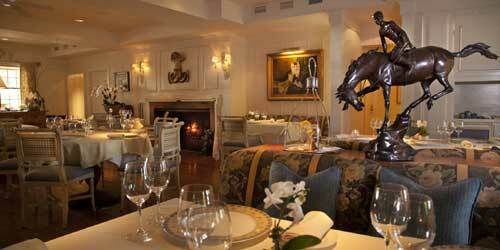 The Sunday Brunch provides an extensive buffet in a charming setting. The tavern is available for wedding receptions and other private events. Prices and menus change for special events and holiday brunches while hours vary seasonally. In the heart of charming downtown Nantucket, the Jared Coffin House is home to more than heritage and comfortable accommodations: It also features the island’s newest steakhouse, the upscale Nantucket Prime, serving prime steaks, grilled fish and the freshest of raw bars, as well as an extensive wine list, craft beers and signature cocktails that you can sip on the newly expanded patio or casual indoor bar area. In the stunning main dining room, expect to be treated to the finest steaks and a variety of local seafood, expertly prepared and presented. 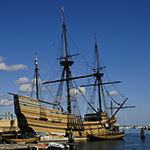 For variety, guests may wish to saunter over to the inn’s sister hotels and dine at the Brant Point Grill at the White Elephant or TOPPER’S at the Wauwinet. At the DoubleTree by Hilton Boston-Bedford Glen we incorporate the freshest ingredients, delicate preparation, and professional culinary craft into each meal. We invite you to see for yourself what dining at our Bedford restaurant, SORA, can offer. SORA is a Mediterranean restaurant set in a relaxing atmosphere. Start the day off with our bountiful spread offering fresh fruit, juice, yogurt and granola, scambled eggs, breakfast meats, potatoes, pastries and breakfast breads, oatmeal and cold cereals. 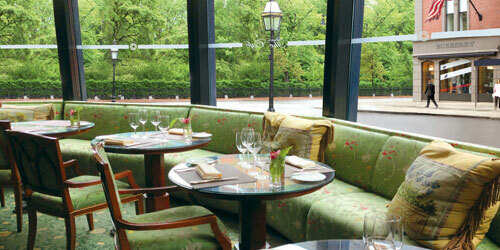 SORA also offers impressive lunch and dinner menus featuring Italian and Mediterranean inspired cuisine. Savor cocktails and dinner on our outdoor terrace featuring live music and seafood raw bar during summer nights and enjoy s’mores and dessert by the fire pit. Follow our link at the top of this listing to view our menus. The magnificent and restored Beaux Arts hotel XV Beacon, features Mooo… for your dining pleasure for breakfast, lunch, dinner, Sunday brunch, and lighter bar fare as well. Step into the intimate lounge for a drink and savor the selection of fine cocktails, wine, and beer to start your evening or end the day. You’ll find the private dining room and event venue, the Wine Cellar, on the lower level with vaulted ceiling, stone floors and walls lined with an impressive collection of rare and fine wines. Enjoy he attentive service, sophisticated décor and the creative spin on the classic steakhouse menu to please the modern palate. Staying at the hotel? Enjoy in-room dining and select from the complete Mooo… restaurant menu 24 hours a day. 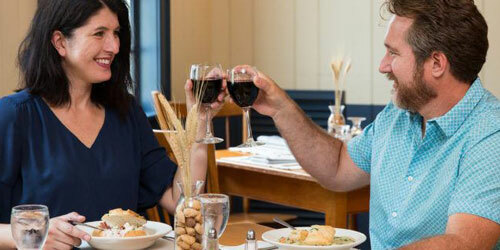 The anchor of the menu at the the White Elephant resort’s Brant Point Grill might be the fresh lobster dinner, but patrons also rave over the Pineland Farms all-natural steaks and lobster mac and cheese that is not to be missed. 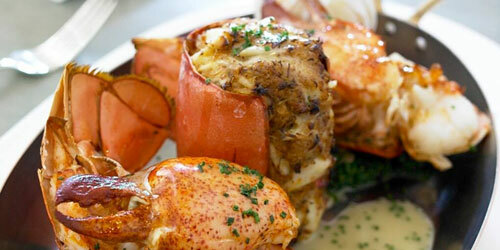 The menu at the Brant Point Grill, known fondly by Nantucket residents and return visitors as BPG, is a seasonal delight, the dishes artfully prepared and presented by attentive staff. (Second only to dinner is the bountiful Sunday brunch.) 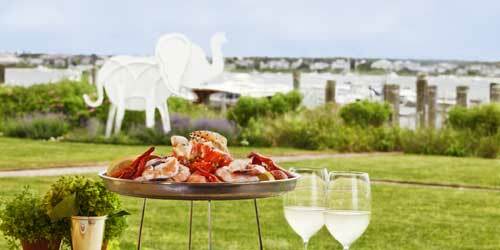 And the setting is a worthy backdrop to the meals: The White Elephant is right on Nantucket’s picturesque harbor, so while you dine, inside or out, you can watch the sailboats glide and the sun set across the water. "The Café", a charming 66-seat space with views of fashionable Newbury Street, is home to Executive Chef Daniel Dumont who is recognized for his inspired mastery of American regional cuisine. 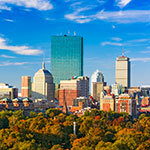 Taj Boston has infused a new panache into The Café, a Boston landmark for over 55 years. Enjoy the new Raw Bar, nightly "From the Grill" Angus Beef, and The Café's Indian dishes and daily specials. Attire: No workout attire, tee shirts, shorts or tennis shoes.